Dianne C. Magee, an attorney with Grim, Biehn & Thatcher and Solicitor for the Bucks County Area Agency on Aging, has announced her candidacy for judge for the Bucks County Court of Common Pleas. Magee is running for one of three vacancies on the Court. In a legal career spanning more than three decades, Magee has been a staunch advocate for the most vulnerable members of our communities – the elderly, disabled, children and families in crisis. 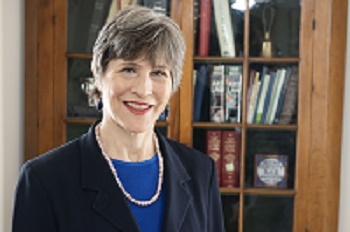 As a respected authority on elder law issues, and recognized by community leaders and attorneys statewide, Magee would be the first judge in Bucks County with this background, gained through the experience of a lengthy career spent helping the elderly and their families with their legal issues. For the past 19 years Magee has served as Solicitor for the Bucks County Area Agency on Aging, the County agency which protects residents aged 60 or older from physical abuse, financial exploitation or neglect and abandonment. Performing all of the Agency’s Older Adult protective services litigation (which has expanded nearly two-fold in the last year), has given Magee a first-hand perspective on the growing needs and concerns of our aging population. Dianne Magee heads the estate department at Grim, Biehn & Thatcher in Perkasie, Pa., where she brings a wealth of experience in the areas of elder law and all matters relating to estate planning, estate administration, adoption and guardianship. For the past 19 years Magee has served as the Solicitor for the Bucks County Area Agency on Aging, the County agency which protects residents aged 60 or older from physical abuse, financial exploitation or neglect and abandonment. She performs all of the Agency’s Older Adult protective services litigation, which has expanded nearly two-fold in the last year. This work gives her a first-hand perspective on the growing needs and concerns of our aging population. As a candidate for judge for the Court of Common Pleas of Bucks County, Dianne Magee offers 34 years of dedicated professional and community service to families in crisis and to protecting our most vulnerable citizens, including children, the disabled and the elderly. As a respected authority on elder law issues, recognized by community leaders and attorneys statewide, Magee would be the first judge in Bucks County with this unique experience and knowledge, earned through a career spent helping ordinary people as their trusted legal counsel. Magee has been a certified mediator since 2006, with added credential as a certified elder mediator since 2007, and on the Bucks County Court of Common Pleas list of certified mediators. Magee has volunteered extensively for professional and charitable organizations. She is the immediate past president of Big Brothers Big Sisters of Bucks County, where she has served on the board of directors for the last 10 years, and she currently serves on the Bucks County SPCA board of directors. Magee also served for many years on the board of the Bucks County Women’s Fund, was president of the Bucks County Estate Planning Council, and has been a member of the board of directors of the Bucks County Bar Association, where she has chaired committees and a section and was a trustee of its foundation. For more information about Dianne C. Magee visit www.diannemageeforjudge.com.